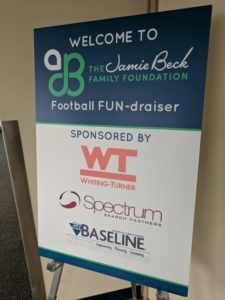 Baseline was a corporate sponsor for the Jamie Beck Family Foundation Football Fun-Draiser. The Jamie Beck Family Foundation was established to provide financial assistance to families who are impacted by brain aneurysms. 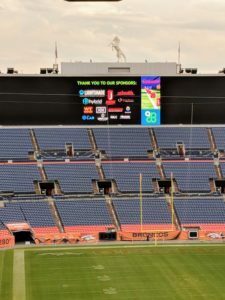 The event included a magician, face painting, silent auction items, and a stadium tour. During the tour you were taken to the ESPN press box, the media room, and allowed to go down to the field. It was a fun event for a good cause.